Whether we accept the help or not. To others a heavy burden. Then that of a Love. And a hand reaches out to us. But only as hard as we choose to make it. Well that depends on us. Can turn into our best. 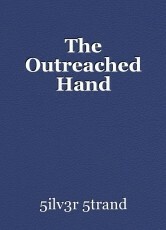 Of the Outreached Hand that is extended towards us. Sometimes there is a lot of pain involved. And those who choose Love can heal wounds. We all have our broken pieces and at times they interlink. So know, we are not meant to live this Life alone. And comfort for those who have felt loss. Always there is a Hand. And healing our wounds and scars. And the interaction is different for all. For those Who do and do not call.